December 5, 2018 (Last Updated: April 7, 2019) - As an Amazon Associate I earn from qualifying purchases. 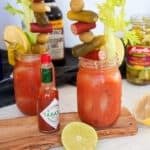 Whether you are looking for a brunch cocktail or just a bloody mary fan, this Classic Bloody Mary Recipe is a tasty one and a meal in a glass. The Bloody Mary is such a classic drink and today that is what we are going to make. We are going to mix up and share our best, most delicious, classic Bloody Mary Recipe. As we saw in our exploration of the history of the Bloody Mary, the origins of the drink and its ingredients are a little muddled. Fortunately, that the origin of the ingredients isn’t clear cut is one of the things that I think makes a classic bloody mary so special. It is not a “one size fits all” drink. It is a special drink that is meant to be made unique. 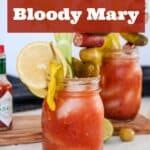 So, I am going to share my basic, best Bloody Mary recipe with you today as part of our series, but use that as the base for your best version. Enjoy our Classic Bloody Mary recipe! There are two main historical thoughts on where the Bloody Mary originated. One is that it was created by famous bartender Fernand Petiot at Harry’s Bar in Paris France during US Prohibition. This reported origin story has several different ingredients, similar to how it is made today. This recipe has close ties to the Red Snapper cocktail (a gin drink) that became popular in the US following prohibition and makes sense, as Vodka was not a popular drink the US until after World War II and Smirnoff’s advertising campaigns selling the Moscow Mule. The other involves a famous socialite named George Jessel, who Smirnoff actually advertised as being the creator of the Bloody Mary during an ad campaign of the 1950s. The first references to this drink really only talk about it being a mixture of tomato juice and vodka, which is closer to what George Jessel first was touting as the ingredients. Each story has its merits and you should really check out the history post to learn more about the drinks fascinating history. The combination of these two stories really has made the recipe what it is today. There certainly are variations to what I am going to share, but my ingredients list are really the base list of how a bloody mary should be constructed. The spicy root flavor of prepared horseradish is essential in my eyes. The odd and interesting Worcestershire Sauce is another essential. This fermented sauce has been around since the early 1800s and really is an umami bomb that can help make the drink. 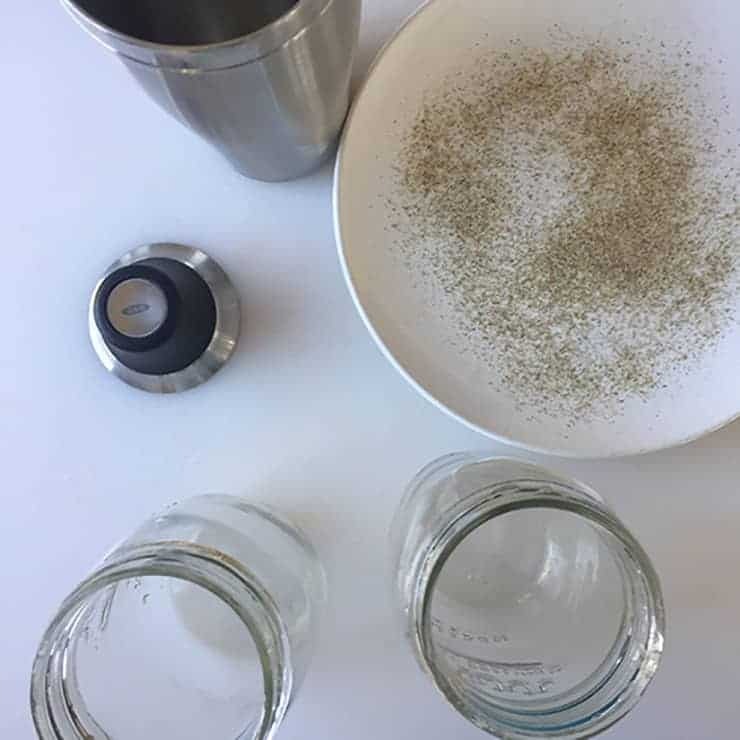 Celery Salt is another essential characteristic that I would have a tough time not including in our cocktail. We only rim the glass with it, but as a classic margarita needs a salt rim, this drink needs a celery salt rim. And Tobasco! We cannot forget about a hot sauce to spice this mouth-party up. Really, the number of flavors that are going on in a Bloody Mary recipe are crazy. And, if you think about it, it is sort of amazing that these flavors all came together to become the classic drink it is. That all of these odd bedfellow ingredients came to be “a thing” is a testament to just how good a bloody mary is. 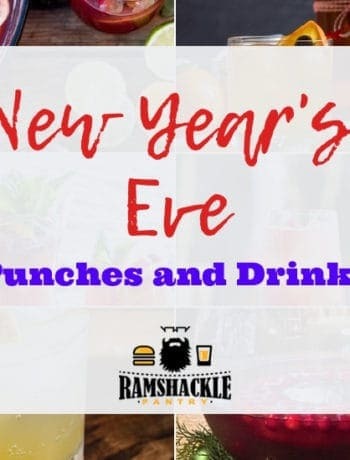 There are probably opinions galore on this matter, but it really is an opportunity to turn this cocktail from just a drink to an entire experience. 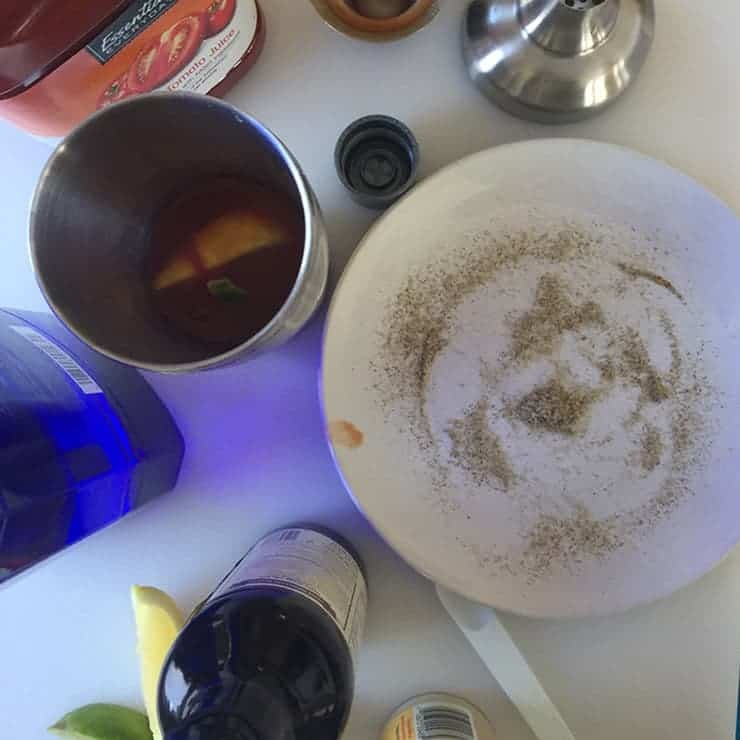 In my town, there is a bloody mary bar where it has become half art and half science to see how many toppings can be added to the top of the cocktail. There is some architectural miracles that occur on top of some of those glasses. 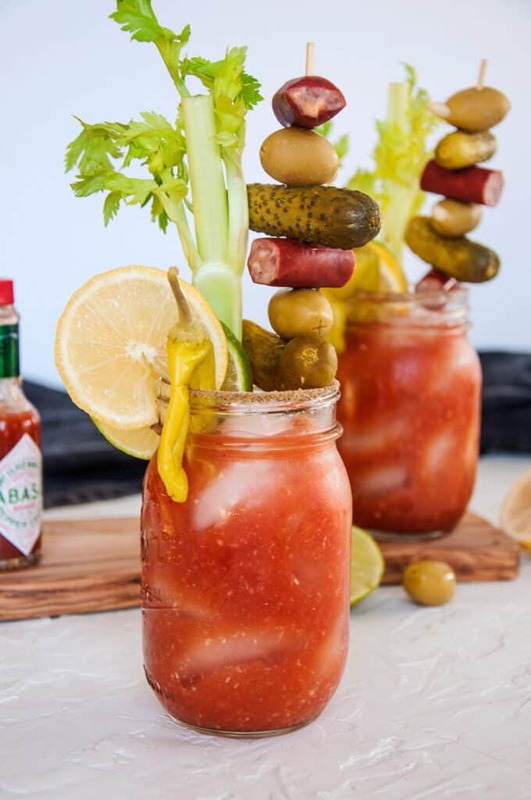 While the choices of garnish are endless, I would always make sure to have a bit of a celery stalk on a bloody mary and either a lemon or lime as part of the garnish. I don’t think an olive or pickle are necessarily needed on a bloody mary, but I would feel disappointed if I ordered one and didn’t get them. Other than that, I think the opportunities are endless! In fact, I think we might write a whole article on that. Use this recipe as your base. Then, go forward and experiment. If you use this recipe combined with knowledge of the history and then also your creativity, you are going to make the PERFECT bloody mary recipe for you and your friends. Let me know how your Bloody Mary experiments go! I would always love to see what you come up with. If you like what we are doing here, subscribe to get updates via email, follow me on Instagram, and follow me on Pinterest. This Classic Bloody Mary Recipe is delicious and a perfect brunch cocktail. This classic cocktail is tasty and a meal in a glass! Garnish with lemon, lime, pickle, olive, and celery stalk.